I took this picture for my previous post regarding iPhone site ideas. Halfway writing the previous post… I found out something fun about the picture. Day 4 of the month. Day 4 of the week. Hour 4 of the day. Minute 4 of the hour. And… this post is posted on the 404 phenomenon date time. Hmmm… alright… i have weird logic at deriving lame stuff. Probably a celestial warning to you not to update your unlocked iPhone, because it will be permenantly 404’d (aka bricked). hey… great interpretation! 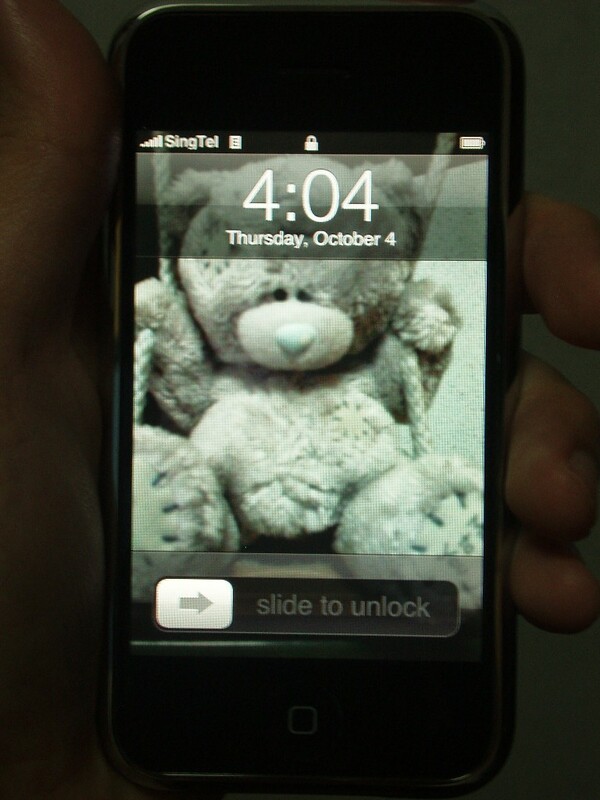 404 could mean bricked in iPhone…. argh… scary. Good coincidence. were you setting all day trying to snap that picture. hahahah.. no. the picture is totally coincident. i only realized that halfway writing a post and i am feeling freaky at that moment especially it is 4am in the morning.